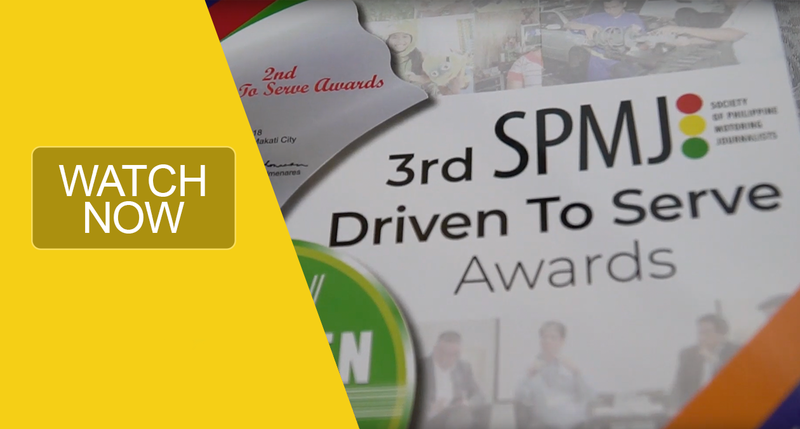 The Society of Philippine Motoring Journalists or SPMJ held the 3rd “Driven To Serve” Awards at the Palms Country Club, Fililnvest, Alabang, Muntinlupa City. The awarding ceremony was attended by top executives of the local car companies and manufacturers and members of the motoring media. This year’s awardees include Ford Philippines, Nissan Philippines Inc., Mitsubishi Motors Philippines Inc, Toyota Motor Philippines, Isuzu Philippines Corp, and Volkswagen Philippines. The “Driven To Serve” program is aimed at recognizing the most outstanding Corporate Social Responsibility projects of the local automotive industry. The categories were divided into 4, namely: Education and Training, Environment, Community Development and Road Safety.